It is a legal requirement to have a Legionella Risk Assessment of all water systems. 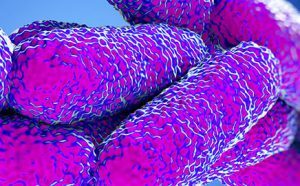 The Legionella Risk Assessment is usually carried out as a part of a Legionella risk management programme to manage the risk of Legionnaires’ disease. Our Risk assessments have been developed in accordance with the guidelines and recommended practices issued by the UK Health & Safety Executive L8 and the Health and Safety Commission (HSC). A Legionella Risk Assessment will have a significant impact on reducing liability should any problems occur. Following a site survey, our qualified and experienced risk assessor will produce a comprehensive report, identifying any potential risks within the water system, as well as any remedial action necessary to meet current standards and legal requirements. The report will also include a schematic drawing of your water system and a guide to complying with the Associated Code of Practice (ACOP L8). 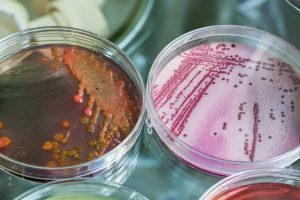 What does the Legionella Risk Assessment involve? 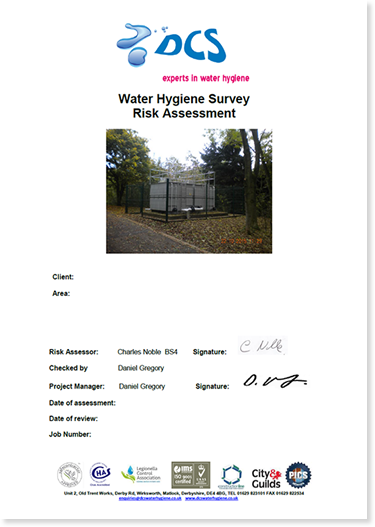 A full asset register which highlights the water systems that fall within the guidelines for your site. Digital photographs of all your assets. An outline of the current condition of the water systems and whether the water storage is hygienic and compliant with the Water Supply (Water Fittings) Regulations 1999. AutoCAD schematic drawings of your water systems. An assessment that the water temperatures are satisfactory for the control of Legionella bacteria. The Risk Assessment will define any remedial actions required to achieve compliance with the guidelines such as cleaning and disinfection of water systems and storage. It will recommend ways of managing the risk to Legionella bacteria through an action plan. A schedule for on-going water hygiene monitoring. It will provide you with a clear understanding of how the guidelines relate directly to your site and provide the documentation required by the HSE/HSC. Personnel training requirements identified for site. All our risk assessors have both the practical experience and formal training to ensure that your cold and hot water systems meet the required UK regulatory standards and legionellosis legislation.